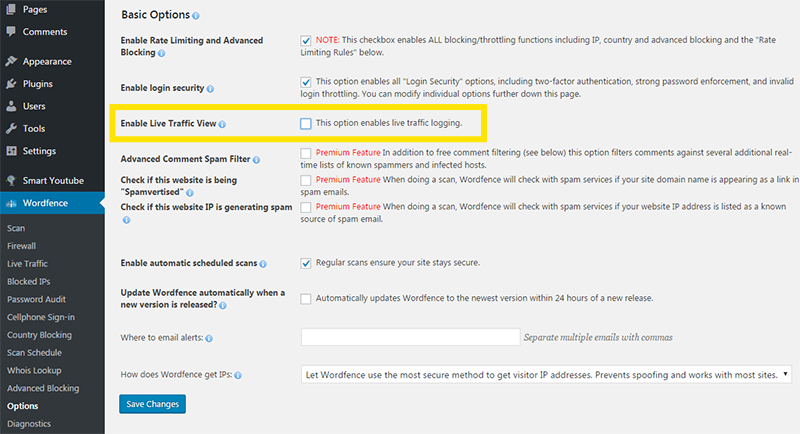 How To Reduce Wordfence CPU Usage - Knowledgebase - D9 Solutions Ltd.
Wordfence is a very useful Wordpress plugin, and is used by a lot of clients to increase the security of their Wordpress website. Unfortunately the Wordfence "Live Visitor Tracking" feature can cause CPU usage issues for clients on Shared Servers. As such, we recommend disabling this feature to improve the performance of your websites. 3. Make sure that you de-select "Enable Live Traffic View" and then click on "Save" to save the changes.